European Bioinformatics Institute and Sulston Laboratories of the Sanger Institute. Sir John Edward Sulston FRS (27 March 1942 – 6 March 2018) was a British biologist. He was a joint winner of the 2002 Nobel Prize in Physiology or Medicine. He was the first Director of the Wellcome Sanger Institute, and then Chair of the Institute for Science, Ethics and Innovation at the University of Manchester. Sulston was one of 20 Nobel laureates who signed the "Stockholm memorandum" at the 3rd Nobel Laureate Symposium on Global Sustainability in Stockholm, Sweden on 18 May 2011. He first studied at the University of Cambridge in Pembroke College, where he graduated in 1963. He then stayed on to do his PhD there. After working at the Salk Institute, La Jolla, California, for a while, he returned to Cambridge to work under Sydney Brenner at the MRC Laboratory of Molecular Biology. Sulston played a central role in both the Caenorhabditis elegans roundworm and human genome sequencing projects. As sequencing of the worm genome proceeded, the project to sequence the human genome began. At this point he was made director of the newly established Sanger Centre (named after Fred Sanger). One of Sulston's most important contributions during his research years at the LMB was to find the precise order in which cells in C. elegans divide. In fact, he and his team succeeded in tracing the nematode's entire embryonic cell lineage. 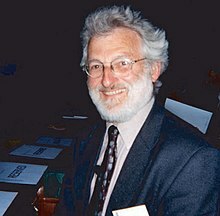 Sulston was a leading campaigner against the patenting of human genetic information. Sulston died on 6 March 2018 at the age of 75. This page was last changed on 14 June 2018, at 07:17.